A midwestern University specialist recently wrote a column for a leading beef industry magazine claiming that winter feeding is the biggest expense in most cow/calf enterprises. That may be true in most cow/calf enterprises, but I doubt it’s true for any of the most profitable cow/calf enterprises. The specialist offered suggestions to “reduce feed costs through minimizing feed waste” by selecting the right kind of hay feeder. There was no mention of reducing, let alone eliminating, feed by changing the production schedule or shifting to seasonal enterprises. If you expect to make a profit and feed costs are the biggest cost in your cow/calf enterprise, you have a serious problem. How much feed is too much? If you’re Ranching For Profit, feed costs should be less than 1/6th (<16%) of gross product. Gross product measures the value an enterprise produces. Using this benchmark, an enterprise with a $600,000 gross product should be spending less than $100,000 on feed. Not all feed is created equal. 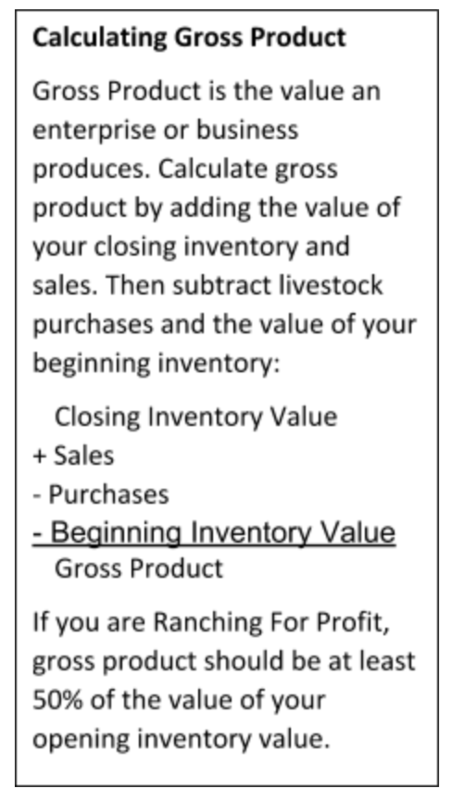 At the Ranching For Profit School we make a clear distinction between the land investment and the operating business. Whether you own land or not, livestock must rent the pasture they graze. While pasture is providing feed for livestock, we don’t treat pasture as a “feed” cost. This separation is important when it comes to diagnosing dead wood and profit drivers in your ranch. (For more on this, read The Profit Tree). If you bring the cow to the feed (pasture) that’s a land cost. If you bring the feed to the cow it’s a feed cost. 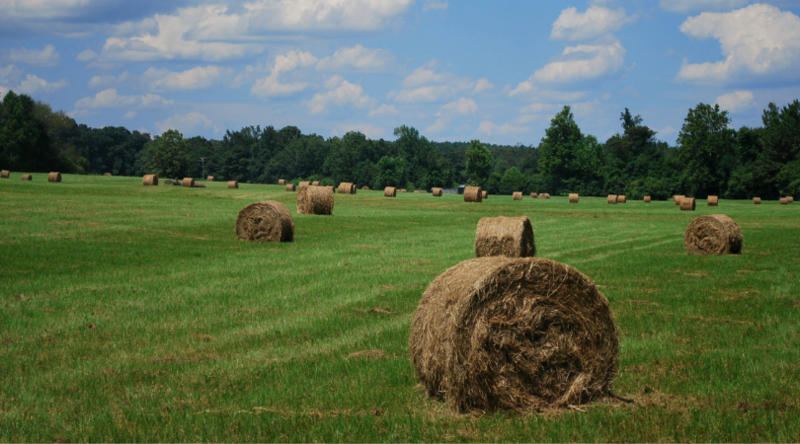 The <16% of gross product rule applies to feed costs, not land costs. There are two types of feed costs: supplement and substitute. Simply put, supplement makes up for deficiencies in quality. Feeding mineral or protein is supplemental feeding. Substitute feeding makes up for a deficiency in quantity. Feeding hay is substitute feeding. Proper supplemental feeding improves gross margin. Substitute feeding decreases profit. It’s not just the cost of the feed. It’s the cost of the feeding. Feeding requires labor and equipment, and that means more capital investment and more labor overheads. When someone talks to you about a more efficient way to feed hay, they are usually really talking to you about a slower way to go broke. It doesn’t matter how well you do something if it’s the wrong thing to do. I absolutely appreciate your distinction between ‘ bringing the cow to the feed’ and ‘bringing the feed to the cow’. Also appreciate your distinction between ‘making up for deficiencies in the quality of feed’ with ‘providing substitute feed’. It has only been in the last few years that I have changed our haying strategy. Now we only harvest and bale that forage that will be lost if we don’t cut it. So far this winter we have been able to SUPPLEMENT the available standing forage with the protein and energy necessary to make a complete ration. Only now – in late January – has snow made it necessary to provide substitute feed by breaking into our hay-piles. The only REAL value of those cows is turning what would otherwise be a waste product – grass (and cornstalks) – into a high-quality protein. > that all makes Spence however I would like to ask how many acres do you graze per cow or all pasture divided by total number of grown cattle? Here in Alabama we put up approximately 2 tons per cow . U would say wow! Then we would say we have 2-3 acres per cow and we over winter our calves and sell 700lb stockers in May. Lots of different ways to make a living in cattle. > It takes us 20 acres of grazing per cow. Grass grows here for only two months out of the year. After that it is what the fancy people call “stockpiled” forage.